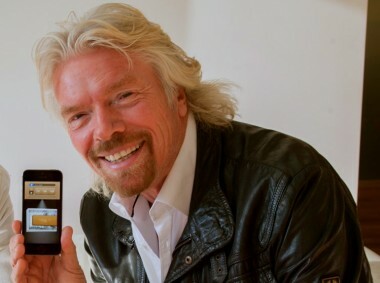 In today’s version of billionaire Richard Branson doing whatever he wants, the founder of the Virgin empire announced on his blog that his commercial space travel company, Virgin Galactic, is now accepting bitcoins as payment for flights into space. The post goes on to say that “a female flight attendant from Hawaii” is the first Galactic customer to pay for a flight into space using bitcoins. The company will use bitcoin processor Bitpay, as well as others, to process future bitcoin payments, should there be any, the spokeswoman said. On one hand, the announcement can be viewed as a nice little marketing stunt for Branson’s space travel company, which is expected to launch its first commercial flight next year. But Branson has also shown a real interest in next-generation payments companies in the past; he’s an investor in Jack Dorsey’s Square, as well as stealth payments startup Clinkle.